I was invited up to a farm by Steve Dolan, that belongs to his mate ( I never new he had two .......ha ha ha). 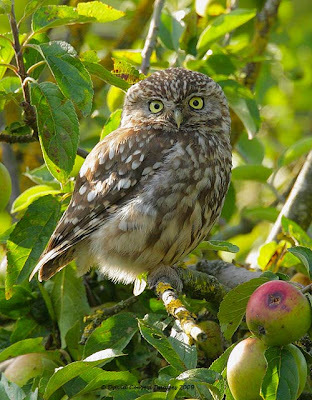 Anyhow he reckoned that Little Owls were breading in the orchard by the farm house, so eventually I got myself round there. My first visit produced only fleeting glimpses of the owls but a Lesser Spotted Woodpecker put in a brief appearance as did a Whitethroat. 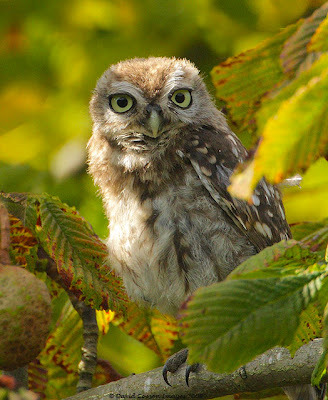 However, a second visit proved more fruitful ( excuse the pun ) as both parents and juveniles were quite active. From a photographic point of view the dappled light although good proved to be problematic, but after a four hour stint I got what are to date my best images of these delightful creatures. Dave. One word.... Brilliant !!! David just about every birder I know locally would have given their right arm to see - let alone photograph - this Lesser - spotted Woodpecker, now thought to be on the verge of extinction in our area in Lanc's. I've taken a copy......well you said I could......didn't you? Great blog you have here David. 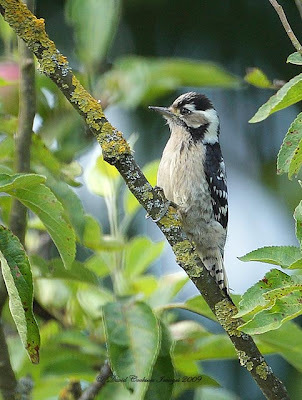 I would love to see a lesser spotter woodpecker in the orchards I am restoring. Was it a big site? Did it have very old trees?